Cobb Lake is about 45 minutes west of Prince George. Take Highway 16 from Prince George, and once you have reached Cluculz Lake area start looking for the Finnmore Road turn-off on the north side of Highway 16. Travel along Finnmore Road for about 5km and follow the signs that direct you to the lake. You can launch a small boat from a trailer as there is a concrete boat launch. 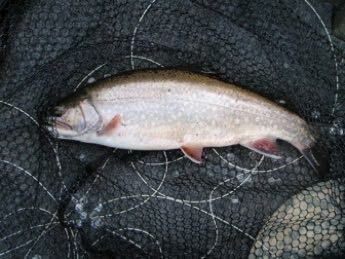 The lake is stocked with both rainbows and brook trout. But you will catch mostly rainbow trout in the 11" to 13”.